A new Australian public-service ad compares fast food to heroin: “You wouldn’t inject your children with junk. So why are you feeding it to them?” (See the ad, along with Katherine Mangu-Ward’s funny meditations on the theme.) But does fast food really contribute to health problems, particularly obesity? Not much, according to Richard Dunn’s study, “The Effect of Fast-Food Availability on Obesity: An Analysis by Gender, Race, and Residential Location,” in the July 2010 issue of the American Journal of Agricultural Economics (it’s peer reviewed, and not funded by corporations!). Previous research finds links between the number and density of fast-food restaurants and health problems, but has difficulty identifying cause and effect (fast food could make people overweight, but fast food restaurants could be put in areas where people are overweight anyway). Dunn uses the number of interstate exits as an instrument for restaurant location to tease out the causal relations, and finds little overall effect of fast food on obesity — none at all in rural areas, a bit in medium-density areas, and only among women and minorities. I respect peer review as much as the next person and have done my share of publishing in peer-reviewed outlets. But I question the belief, expressed often in academic, media, and policy circles, that “not peer reviewed” means “worthless” and “peer reviewed” means “should be accepted without question.” (A corollary belief is that “funded by a private foundation or company” means “biased” while “funded by a government grant” means “neutral.”) In practice, the distinctions are not nearly so clean. My thoughts on this were triggered by a revealing statement from Ronald Coase, quoted by Josh Gans and George Shepherd in their study of famous economics papers that were initially rejected, about his limited experience with peer review: “I have never found any difficulty in getting my articles published. I have either published in house journals (e.g. Economica) or the article was written as a result of a request (e.g. for a conference) and publication was assured.” Certainly no one would discount the importance Coase’s 1937 and 1960 papers because they weren’t rigorously peer reviewed. (Can you imagine the inane referee remarks that “The Problem of Social Cost” would have generated?) More generally, consider the Journal of Law and Economics during Coase’s editorship in the 1960s and 1970s — the high-water mark of the JLE‘s influence. Or, for that matter, Public Choice under Gordon Tullock, the JPE under George Stigler, or the Journal of Libertarian Studies under Murray Rothbard. These were edited somewhat unevenly, led by charismatic and strong-willed editors with idiosyncratic tastes, yet have been vastly influential in their respective fields. Peer review serves a useful function and probably improves the quality of published output, on average. But let’s not make a fetish of it. The Elgar Companion to Transaction Cost Economics, edited by Mike Sykuta and me, has just been published. 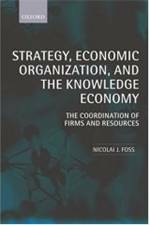 Twenty-nine chapters cover the basic structure of TCE, its precursors and influences, fundamental concepts, applications and evidence, along with alternatives and critiques. Oliver Williamson was kind enough to contribute an introduction and overview. Co-blogger Foss is in there as well. O&M readers can get it here 10 percent off the list price! (Actually, anybody can get the deal.) Mike beat me to the punch with an announcement and description, so I’ll just add that we’re really pleased with the final product and grateful to all the distinguished contributors and the production staff. Here are previous O&M posts on transaction cost economics. A fairly recent example of such an issue was the discussion — anew — of proposals — anew — to abolish professorial tenure. Earlier this month, the New York Times Sunday Book Review ran an essay titled “The End of Tenure?” This was preceded by a July NYT “Room for Debate” forum on the question “What if College Tenure Dies?” and a proposal a week or so later by the American Bar Association to eliminate the term “tenure” from the ABA standards covering job security and academic freedom. A flurry of blog posts on the merits of tenure — many by law professors — ensued. Researching and teaching sound economics during the Dark Era (i.e., the Keynesian Revival) can be frustrating and depressing. Keynesian doctrine has been refuted again and again; why won’t this zombie stay dead? What, more generally, is the role of economic education? Can we really transform hearts and minds through reason and dialogue? Or do students and scholars simply seek intellectual cover to justify what they already believe? Hayek reports that he was originally a mild Fabian but was converted by laissez-faire by Mises’s 1922 book Socialism. Such conversion stories are rare, however, in either direction. With this in mind, I was intrigued by Gary Pecquet and Clifford Thies’s paper, “The Shaping of a Future President’s Economic Thought: Richard T. Ely and Woodrow Wilson at ‘The Hopkins'” (Independent Review, Fall 2010). Pecquet and Thies report that “Woodrow Wilson entered graduate studies at Johns Hopkins University as a classical liberal in his economic views but departed as a progressive. 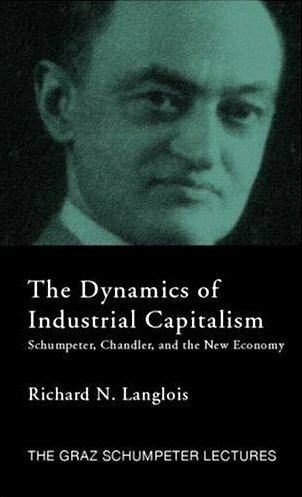 His fateful transformation had much to do with his apprenticeship with Richard T. Ely, who disparaged the laissez-faire policy prescriptions and deductive methodology of classical economics.” Worth a look for those interested in the impact of economic education on economic policy.